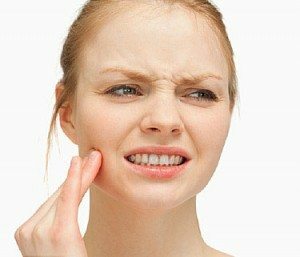 TMJ and teeth grinding are very big issues that are quite common among the adults. The National Sleep Foundation found that nearly 10% of adults in the United States suffer from TMJ or grind their teeth while sleeping. One-third of the parents of young children surveyed claimed that their child also grinds their teeth while asleep. Grinding can cause severe wear and tear on teeth and the jaw. It is important that you see a dentist for an official diagnosis and treatment. Here are 5 things you need to know if you suspect you may be suffering from TMJ. Even though you may be grinding your teeth on a regular basis, chances are that you probably don’t even realize you are doing so. Individuals who suffer from TMJ are often unaware that they grind their teeth. Teeth grinding and TMJ can be caused by anxiety, stress, or serious oral health issues. On rare occasions, some people may even grind their teeth during the day. TMJ is short for temporomandibular joint. This particular joint is responsible for the opening and closing of your mouth when speaking and chewing food. When you have TMJ, you will experience pain when pressure is put on those joints in the jaw. Not only can you experience pain, but TMJ has the potential to cause other serious dental problems. TMJ also can impact your mouth’s range of motion, meaning that you may not be able to open and close your jaw easily. The TMJ Association recommends that once you are diagnosed with TMJ, that you should try to eat softer foods to decrease the amount of pain that you feel in your jaw. Over-the-counter pain medications can be used to ease inflammation and decrease pain. Mouth guards are commonly recommended for individuals who suffer from teeth grinding (bruxism) or TMJ. Even though you can purchase these mouth guards over-the-counter at most pharmacies, make sure you consult with your dentist before you purchase one. Your dentist may have a better solution for you! If you believe that you may have TMJ, you should contact your dentist right away to schedule an appointment. If your symptoms persist and cause your quality of life to decrease, such as losing your ability to eat normal foods, there is no need to suffer through this discomfort. A qualified dentist will be able to provide a diagnosis and suggest various treatment options so you do not have to experience pain any longer. TMJ can be a very painful condition to have to suffer through, but you do not have to endure it any longer. Your life will be much easier when you have a diagnosis and are able to use different methods to relieve the pain and discomfort. Talk to your dentist about the different treatment options that are available when it comes to TMJ. Contact us to learn more about TMJ.